All Fall In! 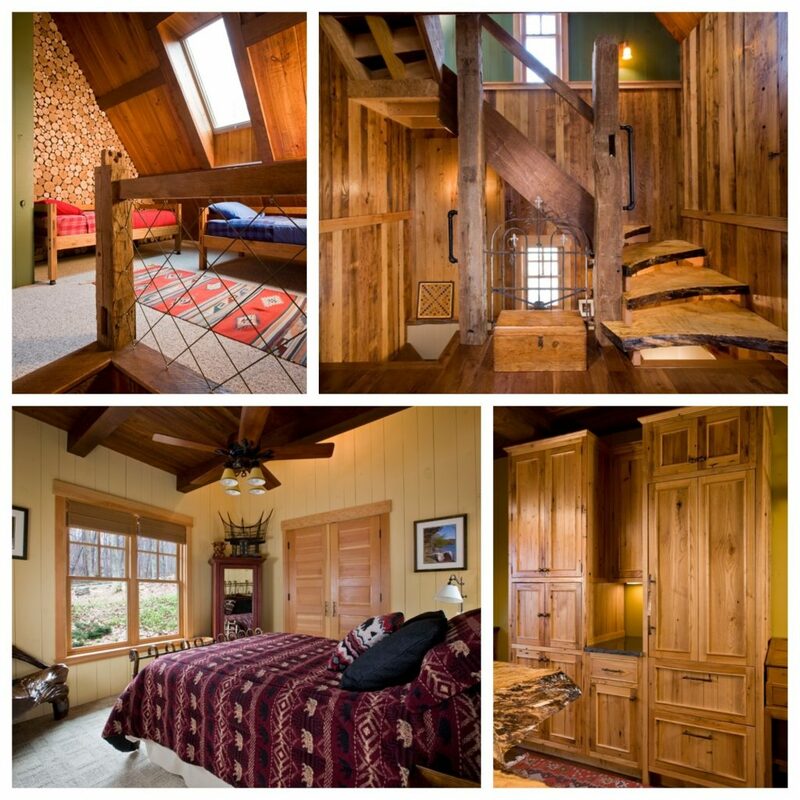 How Customization, Architectural Detail and 17 Kinds of Wood Created the House That Brad Built – Lundberg Builders, Inc. If you’re a lover of the full, four-season experience that living in the mid-Atlantic provides, you probably embrace a wide-range of autumnal delights: apple-picking, cider sipping and fall getaways, where you can experience the warmth and ambiance of rustic living. 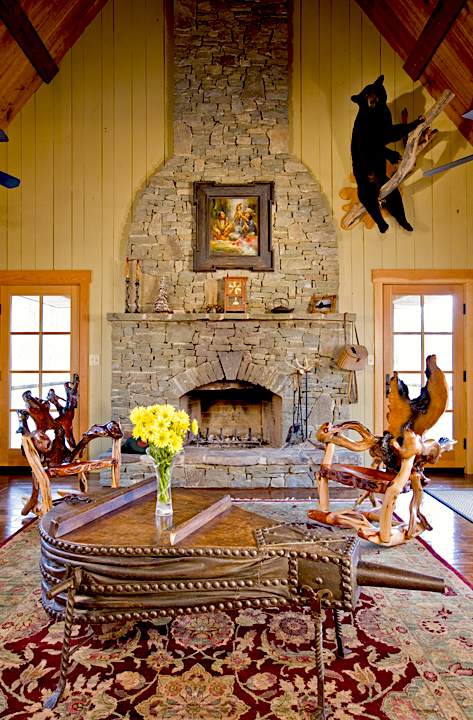 Fortunately, the owner of Lundberg Builders, Brad Lundberg, has the ultimate inspiration for autumn adventures; his own rustic retreat that blends inspired architecture with creature comforts. 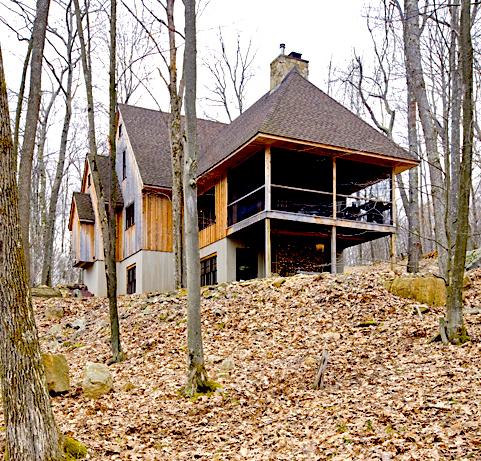 Let’s take a tour of his wooded West Virginia hideaway and perhaps even get inspired to build your own! 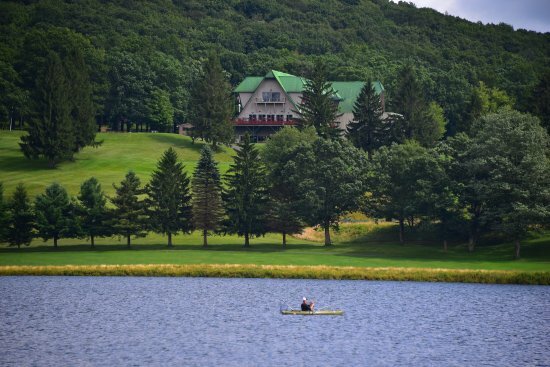 Brad Lundberg’s father originally chose this location on Alpine Lake in Terra Alta, West Virginia, decades ago. 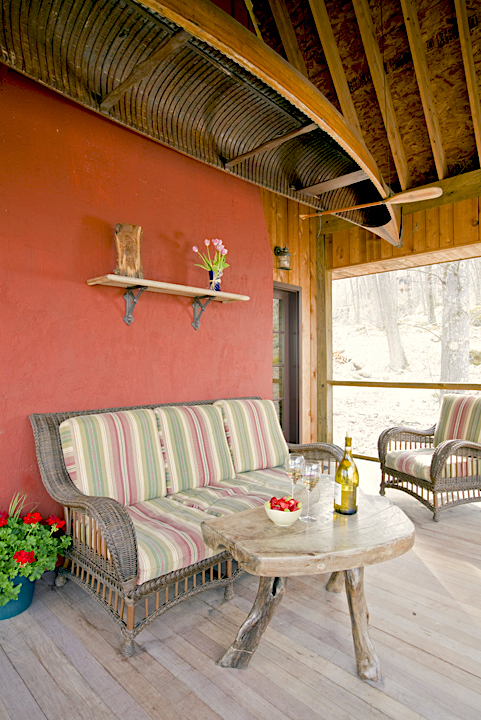 Building on the rustic retreat began in 2005. 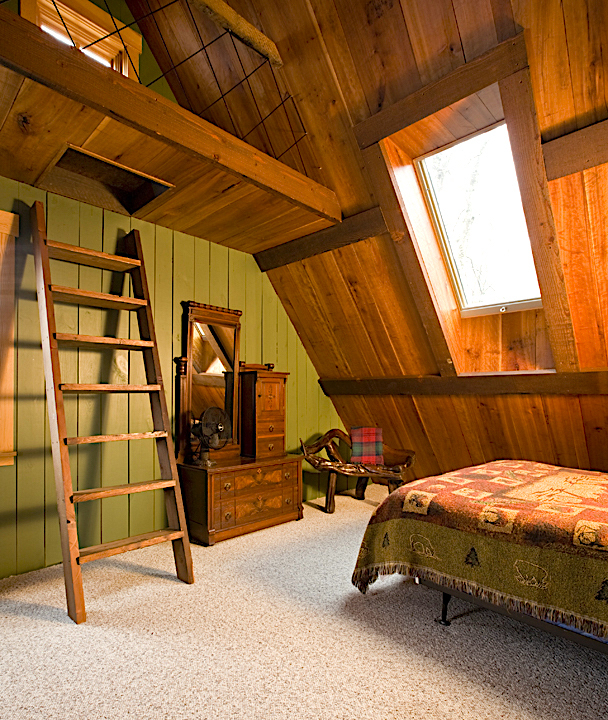 Custom is the keyword of this cozy dwelling. 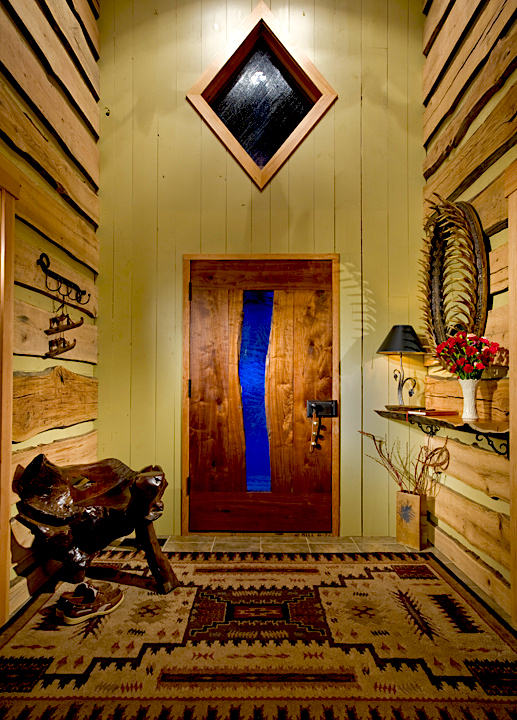 The one-of kind live-edge front door was carved from one of the property’s black walnut trees. 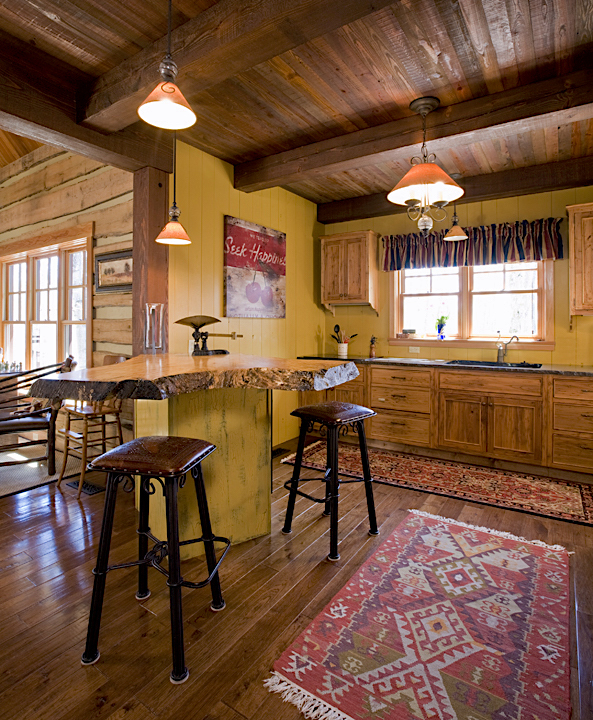 The kitchen island was crafted from a four-inch thick slice of a spalted maple tree. A soaring beamed ceiling in the living room is highlighted with a floor-to-ceiling stone fireplace. The home boasts two traditional bedrooms, an additional loft, lower level and screened porch sleeping areas; accommodating up to a dozen people in one visit. The cabin is also a no-drywall zone featuring 17 different species of wood, including cherry, maple, wormy chestnut, pine, oak and hickory. The summer months, he adds, are perfect for canoeing, kayaking, hiking, and checking out the surrounding areas. 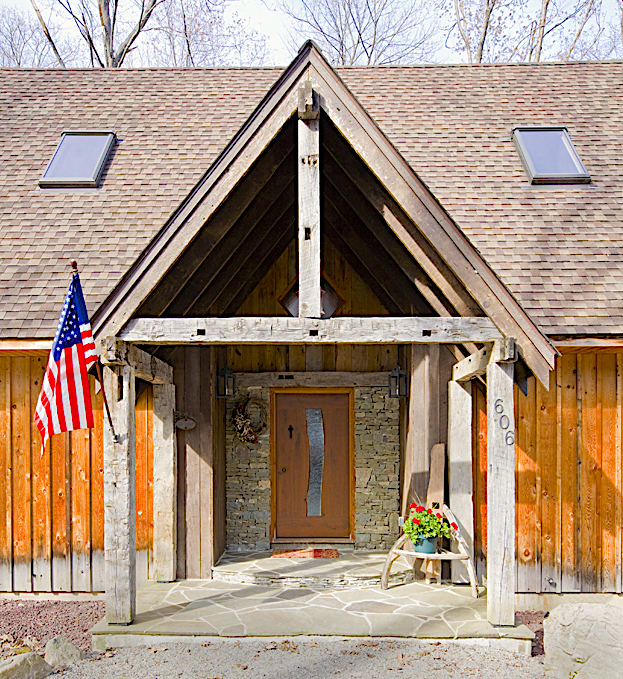 Along with impromptu family gatherings, the cabin has also been the sight of numerous Fourth of July celebrations, and even a couple of weddings. Ready to start building some family memories of your own with a custom-built, architecturally exciting home that reflects your personality and your lifestyle? Contact Lundberg Builders at 410-643-3334 or visit lundbergbuilders.com. Lundberg Builders, Inc. is located at 314 Main St., Stevensville, MD. Previous Previous post: Curb Appeal Series: Adore The Door!